Nestled across the water from famed River Street, Savannah’s own little, private island comes alive with the roar of engines the last weekend in October. The Grand Prix of America Road Course, site of the Speed Classic, is located on Savannah’s Hutchinson Island, overlooking the Savannah River and the city’s famed River Street Historic District. With its storied past and cobblestone streets, Savannah, unbeknownst to most, is at the beginning of Grand Prix racing in the US. Celebrating that heritage, the HSR-sanctioned Speed Classic is a unique road race experience offering an intimate look at the inner workings of racing. 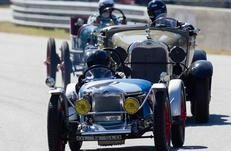 Featuring points series races and even more excitement with hot lap rides, test drives and pit access, you’ll be strapped in at full throttle for an up close and personal vintage racing experience. Part of the 13th Annual Hilton Head Motoring Festival, the Savannah Speed Classic is an HSR Sanctioned Vintage Racing event that will feature the race cars of Jaguar in 2014. “With a display of Jaguar racecars planned for this year’s Savannah Speed Classic, as well as Club participation at the Car Club Jamboree, we will have a truly unique and full-scale representation of the heritage of the iconic British brand,” said Carolyn Vanagel, the Festival’s President. 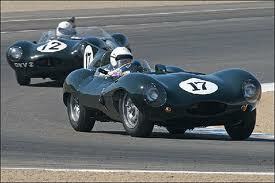 Jaguar will also be featured at the following weekend’s Hilton Head Concours d’Elegance on Sunday, November 2, 2014. The Savannah Speed Classic is a great destination for drivers, crew, families, friends and spectators alike. Visit www.hsrrace.com for entrant details.